Beachbody didn’t want to give up on the great sales just yet! A new month means more new sales – and this month we have P90X3 and TurboFire. Two very different programs – yet both equally as AWESOME – for really discounted prices. P90X3 comes with 16 workouts, 30 minutes each to get you ripped in just 90 days. Tony Horton doesn’t skimp on the results just because you’re working out for half the time as the original P90X3. 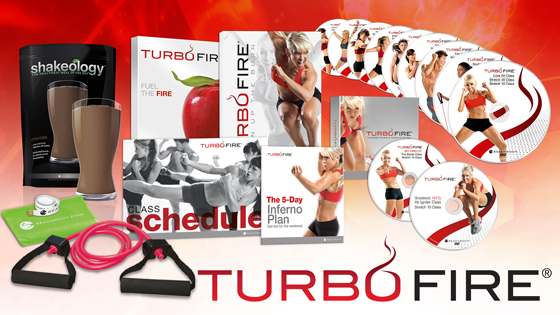 TurboFire is a cardio conditioning program that comes with 12 (plus 3 bonus) workouts including some HIIT (High Intensity Interval Training). Chalene Johnson, the trainer who created TurboFire, is amazing and releasing a new workout this cummer called PiYo (Pilates & yoga mix) so this would be a great intro into her style! Click here for the P90X3 sale! Click here for the TurboFire sale! OR to see a complete listing of programs, click here! Previous Post One more day to get T25 on sale! Next Post healthy habits week!